Gorgeous ! I am sure the aroma is beautiful ! Like a Watteau painting. Beautiful. So beautiful, lovely vase, too! 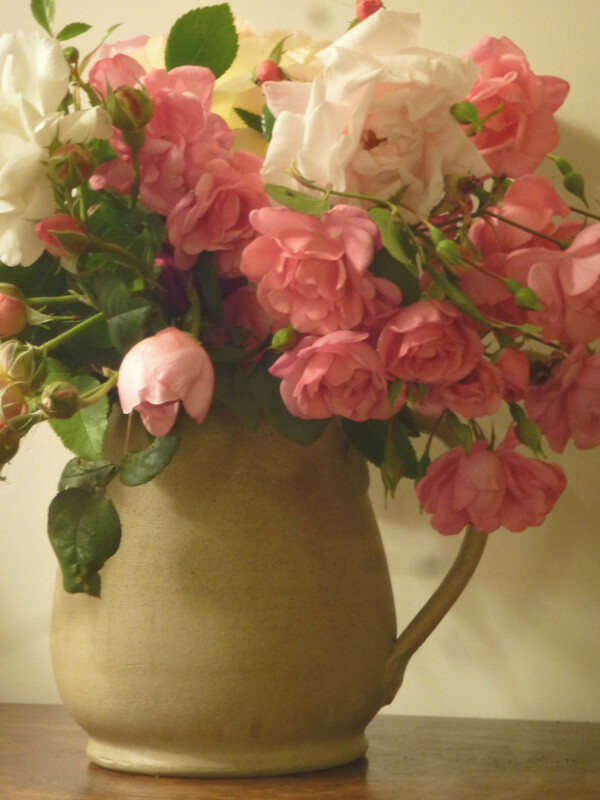 Your roses always look beautiful in your pretty vases Diana!